Platinum - $250, $125 Preferred - $99.50, $89.50, $75, $60, $45. Additional fees may apply. No professional cameras, no video, no flash, no tablet filming or photography. Artists scheduled to appear are subject to change. No refunds. 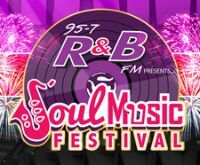 RBRM: Ronnie, Bobby, Ricky & Mike, Bell Biv Devoe, Bobby Brown, Babyface and Next are coming to Hampton Coliseum on Saturday, October 27 at 7:30pm for a soul-filled evening you're sure to remember! Don’t miss the concert that will have you dancing all night long! Doors open at 6:30pm.